The thick forest that grew over the dumped food waste in less than two decades. Courtesy of the authors. What happens when you dump 1,000 truckloads of orange peel and pulp waste onto degraded land and leave it to fester for 16 years? A vibrant tropical forest grows, new research finds. Industrial agriculture is more often associated with harming forests, rather than helping them. But now scientists have assessed the first known example of using food processing waste to help regenerate deforested land in Costa Rica. The orange waste worked better than the scientists expected. “I was very surprised at the diversity of trees that grew. There was no reason to suspect it would work so well,” says David Wilcove, an ecologist at Princeton University, New Jersey, and one of the study’s authors. The findings could provide a low-cost solution to saving forests which often involves actively replanting trees – an expensive and time-consuming activity. The research could also help cut the massive, environmentally harmful food waste problem that costs the US, among other nations, billions of dollars annually. The study was due to be published on July 28th in the journal Restoration Ecology. “There is an exciting synergy to be had. Food waste is rich in nutrients that can jump start the regeneration of forests which are often cleared for agriculture in the first place,” says Wilcove. Daniel Janzen, a biologist at the University of Pennsylvania, began the project in 1996 when he convinced Del Ora, an orange juice company in Costa Rica, to donate the waste from its processing plant. The peel and pulp was dumped onto abandoned pastureland with rocky soils starved of nutrients and crowded with grasses and a few hardy tree species. The deal was a boon for the company which was looking at spending many millions of dollars to dispose of the waste — it planned to build a facility that would convert the waste into dried pellets and sell it as animal fodder. Shortly after the orange peels had been dumped. Courtesy of the authors. The project was then effectively abandoned after it got caught up in legal battles with competing companies which argued that Del Oro had an unfair advantage because it was allowed to dump its waste. When Wilcove and his colleagues looked again 16 years later they found that the degraded land was covered by a thick forest canopy, with a healthy variety of trees and rich soils bursting with nutrients. The researchers also saw a tayra — a weasel like animal, and heard howler monkeys and many forest birds in the regenerated forest. But the team says they can’t be sure if the animals live in the forest or were just passing through. Wilcove says he isn’t sure exactly how the forest popped up but that the orange waste is rich in the type of nutrients needed to help a rich diversity of tree species to get a foothold. The success was also in part due to the thick coat of waste that was dumped on the land which smothered the grasses that were choking out many tree species. Wilcove says that many different types of food waste could have similar effects on forest regeneration around the world. “There is nothing that happened in Costa Rica that in principle couldn’t happen in the US or elsewhere,” says Wilcove. But he adds that further experiments are needed to work out which types of food and forest locations will work best. In the US for example, nearly 27,000 tons of fruit and vegetable waste is generated annually from industrial processing, according to a US Environmental Protection Agency analysis published in 2012. The United States Department of Agriculture says recycling food waste and food discards, such as fruit and vegetable peel, is an important part of the national challenge set in 2015 to cut food loss and waste in half over the next 15 years. 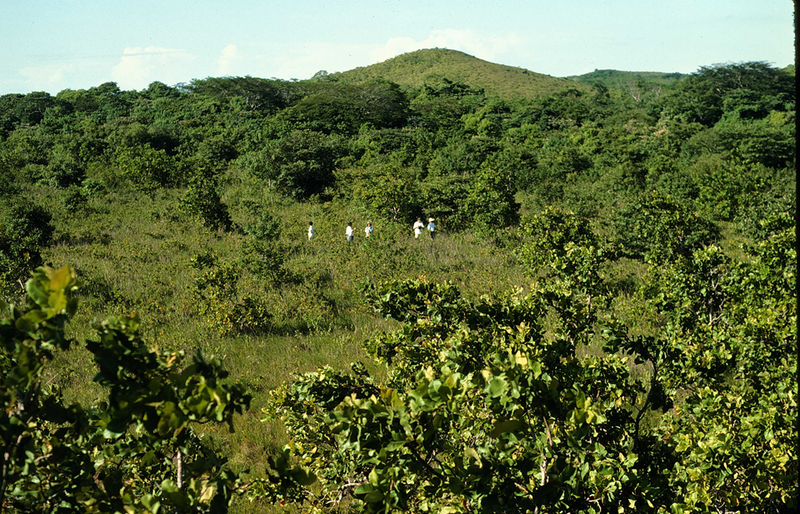 The diversity of trees that grew up on the regenerated forest compared a control plot of degraded land that was not treated with orange waste. Courtesy of the authors. However, US fruit and vegetable processors are unlikely to donate their waste as readily as their Costa Rican competitors, says Kristen Carlson, executive director of the Florida Citrus Processors Association, a trade group. She says that most of the companies in the association turn the waste they produce into animal feed and sell it for a profit. Most companies have already long established the facilities needed to dry the waste and convert it into pellets and so don’t face the large disposal costs that Del Oro was looking at. “There is a cost, but there is also a profit. You’d have to show that donating the waste is economically superior to selling it as cattle feed,” she says. Wilcove agrees that there are competing interests for some types of food waste in the US. But he says it is worth exploring what other types of food waste — which may be costly to dispose of — could also be helpful.